It may come as little surprise that one of the most ancient beings in the cosmos has a devil-may-care attitude towards the mortal condition. Such is the case for the Grandmaster, an Elder of the Universe whose sole pursuits are gaming and amusement…often through deranged death-matches that sate his unparalleled bloodlust! 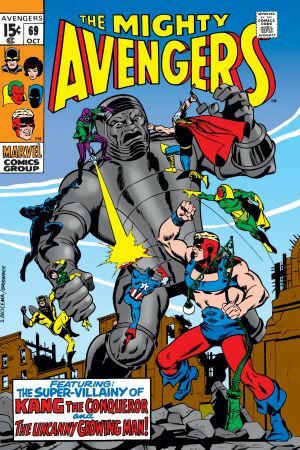 In his first appearance, a riddle-spouting Grandmaster challenges Kang the Conqueror to a game of human chess: if the Avengers can defeat the Squadron Sinister, Kang’s wife and future Earth will be spared. And should Kang’s pawns lose? Earth will be wiped into non-existence! 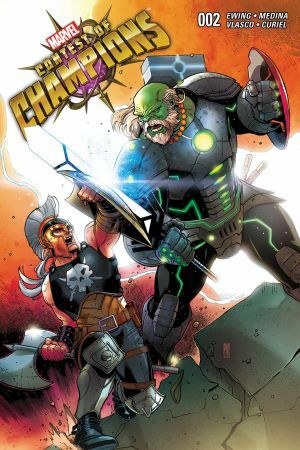 Elders Grandmaster and ‘The Unknown’ use their control over time and space to “BAMF!” ALL of Earth’s heroes to the arena of Champions! 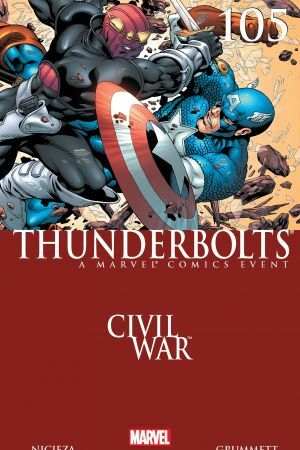 Every living being on Earth is now held in suspended animation – and they’ll remain that way unless our super heroes agree to take part in the “Contest”! Check out this unbelievably fun read, and behold one of splashiest spreads in a Marvel comic on page 12! The Universal Gamesman triumphs over Death herself to bring the Collector back to life! 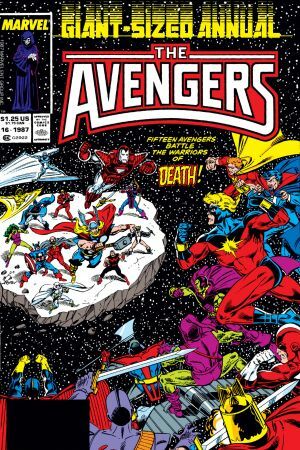 Now, with his only wish granted, a bored Grandmaster threatens to unleash a new Big Bang that will blast our universe into oblivion – unless of course, the East and West Coast Avengers can defeat a legion of resurrected foes and friends…while simultaneously destroying Grandmaster’s “Life-Bombs”! 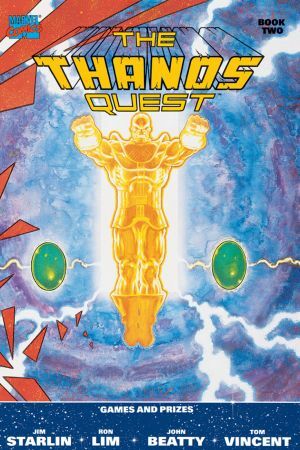 Cosmic creators Jim Starlin and Ron Lim weave this stunning tale of Thanos’ ultimate bid for the Infinity Gems. The Grandmaster challenges the Mad Titan to a military gauntlet with his Mind Gem in the winner’s pot. Overconfident and overpowered, Grandmaster ends up losing his most prized possession! The Grandmaster takes on Baron Zemo’s squad of morally dubious “heroes” for access to the Wellspring of Power, an interdimensional energy hub that yields superhuman abilities. But who will be Grandmaster’s champions? Try a suped-up version of the Squadron Sinister! Read through #108 for the full arc! Are you RRRREADY?! It’s the Defenders Vs. the Offenders, with a certain Elder of the Universe as the Master of Ceremonies! 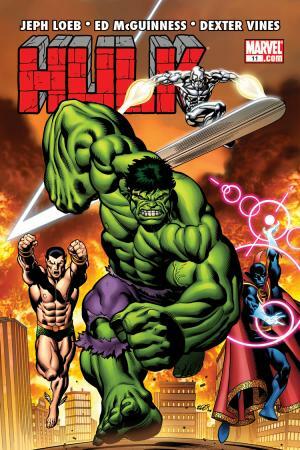 Green Hulk, Doctor Strange, Namor and Silver Surfer Vs. Red Hulk, Tiger Shark, Baron Mordo and Terrax! All these combatants are pitted against their perfect foils…but their arenas will be worlds entirely opposite to their abilities! The only rule? Kill your enemy! 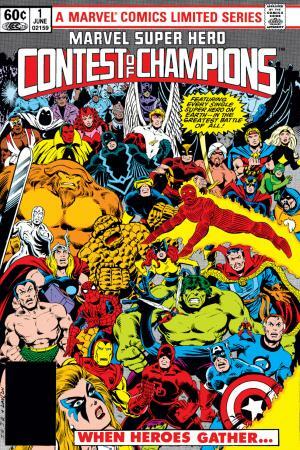 In this post-Secret Wars series, the Collector and Grandmaster assemble an array of multiversal super humans for the wildest Battle Royale committed to a comic! Punisher 2099 is the ‘Summoner’ for his tournament sponsor Grandmaster, and he’s putting together a team of the worst criminals and murderers from across the universe!